Harvey Spencer Knutson obituary. Carnes Funeral Home. Harvey Spencer Knutson passed away peacefully at home in Lufkin, Texas on October 19, 2017 at the age of 85 courageously ending his long battle with Lewy Body Dementia. Spencer was born May 26, 1932 to Homer and Opal Hollenberger Knutson in Towner County, North Dakota (in his own words) “during the depression and gravitated to the West Coast and lived and went to school, basically, in Washington State in the Yakima Valley.” His family had moved west to Washington State from the Dakotas in 1933 when Spencer was around 9 months old. His early education was all in Washington State as well, attending Cleveland Jr & Sr High School in Seattle. Spencer enlisted in the United States Air Force in April, 1951. After serving four years in the Air Force, he enrolled and graduated from the University of Washington in 1959 with a Bachelor of Science degree in forestry with a major in Logging Engineering. 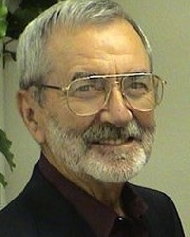 It was in 1959 that Kenneth Nelson recruited him and Arthur Temple hired him to “help bring Southern Pine Lumber Company, as it was known then, into the twentieth century.” Spencer spent the next 40+ years working with Mr. Temple and his company until his retirement from Temple Inland Forest Products Company. His lifelong love of the forest and his commitment to “more rationally utilize a God-given raw material resourceful enterprise” gained him the respect of many. Spencer was an avid deer and quail hunter, winning many awards for his marksmanship skills with firearms at the Pine Gun Club, as well as being a legendary bow hunter. He also excelled in fly fishing, attempting to teach anyone who had the patience to learn the “art of the cast.” Spencer spent many hours meticulously planning his annual fishing trips with his brother, Ed, sister-in-law Joan, and their families to Lake Sheridan, British Columbia. Spencer also was known to be a very good golfer, proud to become the Crown Colony Golf Club Senior Men’s Champion several years ago. Spencer’s love of nature and sport was reflected in the way he taught his four boys how to hunt, fish, and love being with friends and family at the cabin at South Boggy Slough. His boys and their friends spent most if not all of their free time as children out in those woods, and his grandchildren also learned to love the forest and all it had to offer during their childhoods. Spencer made many life-long friends and will be sorely missed. His family he leaves behind to cherish his memories are his companion, caretaker, best friend and loving wife, Lea Williams; his sons, Jeffrey Knutson and wife Janet of San Antonio, Kristin Knutson and wife Tina of Spring, Brett Knutson of Seattle, WA, and Patrick Knutson and wife Dannielle of Olympia, WA; his grandchildren, Spencer James Knutson, Sarah Knutson, Kellie Knutson, Kash Knutson, Hunter Knutson, Chase Knutson, Colton Knutson, Sunny Knutson, Taylor Knutson, Dominic Dolby, Spencer Dolby, Alexy Dolby and husband Arashi Li; and great grandchildren Audrey Mae Li, Arya Li and Everly Autumn Jones. He is also survived by his brothers, Edwin Knutson and wife Joan of Seattle, WA, and Larry Knutson and wife Diane of Seattle, WA, as well as his first wife and the mother of his children, Maria Marabella of Olympia, WA. Spencer loved his second family and they will forever cherish the memories left by knowing him - Michael Williams and sons, Kevin and Austin; and Shannon Cox, husband Michael and sons, Mason and Mitchell. It is with gratitude that we thank James Earl Saxton, MD for his lifelong friendship and loving medical care of Spencer; Dr. Marco Benitez for his helping to make Spencer’s living with Lewy Body Dementia worthwhile for as long as possible. We offer a special thanks to Pine Crest Retirement Community Memory Care Unit; Affinity Hospice angel Margie Gandy, RN; and Carnes Funeral Home for their loving care and support. We also want to thank Baylor College of Medicine Department of Neurology’s Dr. Rachel Doody and Dr. Zimbul Albo for their early diagnosis and treatment regimen in 2010. The family is also grateful for the prayers offered by everyone for Spencer and our family, especially those offered by Sister Raphael Borgagas and the Dominican Sisters of Houston, and Sister Maria Guadalupe and others at the Monastery of the Infant Jesus, Lufkin. In keeping with Spencer’s loving and generous spirit, it was his decision to donate his body to The Willed Body Program at Baylor College of Medicine for research into the disease of Lewy Body Dementia and for the advancement of science. A memorial service will be held at a future date in his beloved Washington State, with internment in the Tahoma National Cemetery, Kent, WA. Spencer requested that any memorials be made to the Monastery of the Infant Jesus, 1501 Lotus Lane, Lufkin, TX 75904 or Dominican Sisters of Houston, 6501 Alameda Road, Houston, TX 77021-2095 or the charity of your choice.